I am so thankful you made the decision to stop here! 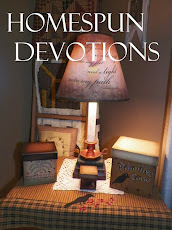 As you may know, I have been blogging at Homespun Devotions for the past six and a half years. It has been an amazing journey that will continue as long as God leads. I will still be blogging there about the things God lays upon my heart, along with continuing to conduct interviews with inspiring Christians such as Jim Daly, Dr. Alveda King, Joni Eareckson Tada, Will Graham, and others! Homespun Devotions will always mean so much to me, but I just love when God does something new, don't you? 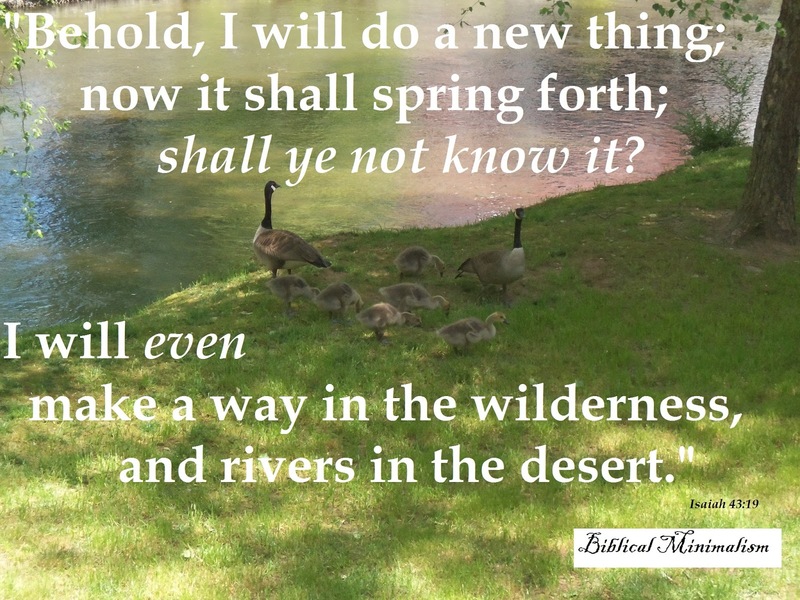 Even though it is hard to step out of what is familiar and comfortable, launching out by faith and going into new and undiscovered levels of trusting God includes a sense of excitement, doesn't it? Biblical Minimalism is brand new. Well, not the reality, concept, and Scriptural foundation, but the blog that bears its name. I am calling it Biblical Minimalism because that is the exact approach my little family and I are taking and living out in our daily lives. A simple life calls to me. For the longest time, I couldn't identify why. Then it hit me. I long for a simple life because of Jesus and the minimal, eternity-focused life He lived while on earth. I want to pattern my life after His. In order to do that, "He must increase, but I must decrease." (John 3:30) That includes every part of life that contains excess or is contrary to what Jesus would do and possess. It is an ongoing, daily effort filled with simplifying and letting go of everything God's Word requires. It is literally stopping and asking hard questions, like "Would Jesus do this? ", "Would Jesus take this on? ", "Would Jesus have more than one of these? ", "Would Jesus give this to someone who needs it more? ", "Would Jesus love this more than He loves His Father?" and a thousand other questions just like these. We are about three years into this incredible journey. I have so much to tell you! So many lessons! So much insight and truth He has taught us in our fervent quest to pattern our lives after His! 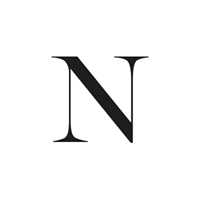 So much to share that I felt God leading me to start a new site that focuses solely on this subject matter, and I recently finished writing the book, "Biblical Minimalism©." I am now in the process of earnestly seeking God as to the publishing direction He wants me to take and hoping He will allow the book to soon be available for everyone to read who has a desire to do so. On this blog, we will leave shallow behind and delve into what is deep. As you look at the header picture for this blog, don't you feel Him calling you? Away from the things of this world? Away from the noise and chaos and craziness? Can you feel the weight of that higher call? If you can, you and I are kindred spirits. Why not consider following along on this journey? You can subscribe by email via the link in the right sidebar to make sure you never miss a post! You can also follow through Google+ or Pinterest. I can't wait to meet you and walk this path together! God bless you as you seek to draw closer to Him. Dear Cheryl - I just saw your new blog - wonderful indeed - you are to be commended for sharing your thoughts and experiences with all your readers. I am proud to be the first to comment on your blog, dear friend. Oh, thank you, sweet friend! I so appreciate your kind words and support! I got your email, and I will be writing you back soon. You are such a dear blessing to me! God bless you abundantly! Cheryl, I'm glad you are doing this blog. This is very timely because we are doing poorly financially and I really want to learn how to do better. I have a hard time saying no because I don't want to be the mean mom. Just recently we bought something that I personally felt we didn't need but the family really wanted it so I reluctantly said yes. Sigh, I'm such a wimp. Maybe I should write a book called Diary of a Wimpy Mom. Dear Regina! You always encourage me so much! I am so thankful for you and your support. You made me smile with about "Diary of a Wimpy Mom!" You're doing a great job, sweet friend. Sometimes, we have to choose our battles, and to keep the peace is more important. God bless you and grant you wisdom. You are a great wife and mother! Glad to be along for this journey!! I am so very thankful to have you along, my friend. God bless you! Hi Cheryl, it's Su Ann! This is so exciting! I cannot wait for your insights from God, Scriptures, and words you share. You are a wonderful example of following what God speaks to you. Oh, I am SO grateful to see you here, faithful friend! Your words are words of encouragement and inspire me to press on. I am praying for you and so thankful to have you along on this journey! I am looking forward to all that you will be sharing on this, your new blog venture! Hugs! So very grateful to you for walking this path with me, my friend. Sending hugs and blessings your way! This will be very interesting, I'm sure. May God be glorified in all that is said and done! I am so thankful to have you here, my friend. Can't wait to see all that the Lord has shown you and have you share it with us. Thank you ever so much for being such an encourager and faithful prayer partner, my friend! I am so excited to share here, and I surely need your continued prayers. I only want to say what God wants and to follow Him with all my heart! Sending love and hugs to you! Love you and THIS!! Keep shining bright sister!! Oh, how wonderful to have you along on this journey, my friend! I wasn't sure who you were, and what a blessing to click over and find it is you!!! Praying for you faithfully and so grateful for your support in this new venture. Love you so much! What a wonderful new adventure for you to be sharing with us! I look forward to being on this journey with you! Love and God bless you! Oh, I so look forward to having you along, my friend!! SO very grateful to you for your loving support. Sending much love and many blessings back to you!! Good for you, sister. So many of us are bound in slavery to the things we craved. What we wanted to own ends up owning us. Materialism is a habit like any other addiction. Thank you, brother. You are so right in all you said. I am so grateful for your input, wisdom, and support. God bless you! So thankful you are here. Oh, Cheryl, this is so exciting!!! I look forward to learning from you as you share what God has put on your heart. God bless you in this new endeavour. ps: My email is teekaytee2(at)gmail(dot)com. Please drop me a note. I'd love to pray for and with you more directly. Oh, thank you, Tracy! I am so blessed to know you will be following along and sharing with others! SO happy and grateful to correspond and to walk this Christian blogging journey with you. God bless you, my friend! Oh, Evelyn! I can't begin to tell you how much it means to me to have you following along! Thank you from the bottom of my heart. May the Lord bless you and your family!